The Brasil range features a simple and elegant design that will fit in seamlessly into any bathroom or guest bathroom. 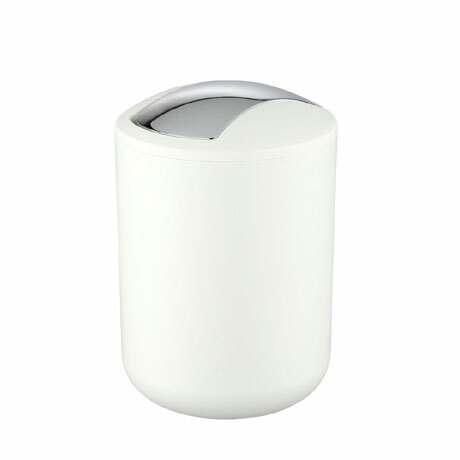 Manufactured from a special unbreakable plastic this bin offers ultimate durability. Its smooth surface makes it easy to clean and therefore hygienic. The chrome cover provides a nice contrast against the bins solid colour. Available in a variety of colours in a Small (2 litre) or Large (6.5 litre) capacity.